Since 1885, young children have found a safe and welcoming environment, attuned to their innate interests and desires. The sheltering campus, tucked behind pale yellow stucco walls on Buck Lane in Haverford, PA, has opened horizons for young children as they explore and learn about the world. We believe the way plants, animals, and living processes on our planet connect to one another is inspired. We believe that happiness and human survival depend on our ability to understand and appreciate the Earth’s ecosystem. We have a great school where lessons are beautifully designed, precisely targeted, and implemented in exquisite facilities by an extraordinary faculty. 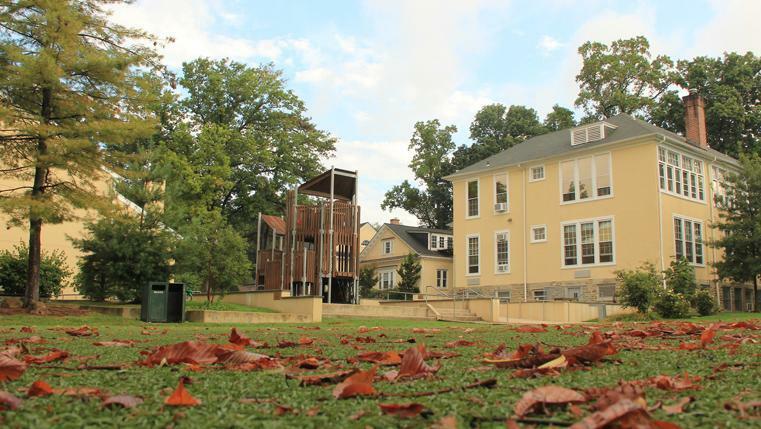 At Friends School Haverford, the outdoor space is an extension of the classroom and is integrated into the curriculum. Our campus is a certified National Wildlife Schoolyard Habitat indicating that our students and teachers have completed projects that demonstrate commitment to wildlife conservation and the environment. The Heritage House Bio-swale, engineered to manage storm water runoff, will create a natural habitat for student observation. The upper border of the bio-swale will be designed as a site for the kindergarten gardening program. 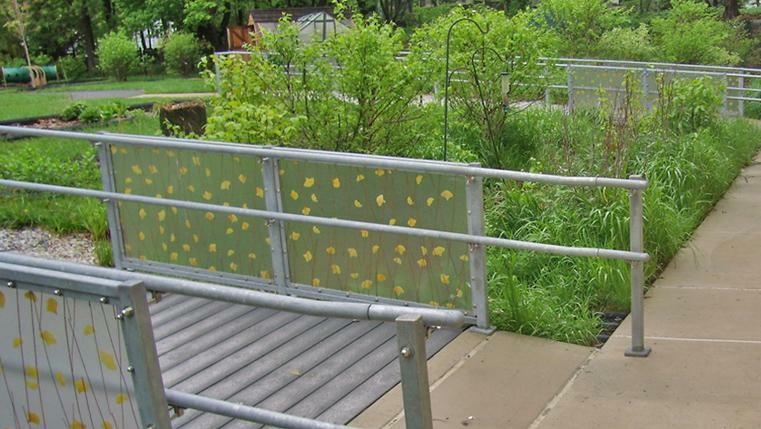 The bio-swale is planted with native species and is home to butterflies and hummingbirds. In addition to the water management role the swale plays, it is also an official butterfly way station for migrating monarchs. Conveniently located near the campus gardens is the greenhouse, potting shed and compost container. The third and fourth grade classes takes care of our egg-laying hens by feeding them and giving them water, maintaining their coop, and monitoring their health and well-being. The class operates an egg co-op, making fresh eggs available to the community. As the orders come in, students take turns checking for eggs and packaging half-dozen egg bundles for distribution. Classroom garden projects are an important part of the kindergarten, second, and third grade curricula. In 2006 a complete outdoor renovation included a reorganization of the playgrounds for our youngest students and has provided areas for additional games and activities for students through eighth grade. Just south of the Schoolhouse, a pervious surface was installed with foursquare and other sidewalk games that make this a favorite destination. It is also a welcoming gathering place for students and parents and for School social functions. The Heritage House Playground Green includes a large tricycle/jogging track and new and refurbished playground equipment sized for our younger students. The center of the track is planted with grass for running and ball games. At the perimeter of the Playground Green there are swings, climbing structures, and a sand pit. An important component of the 2006 renovation was the inclusion of a “Nancy’s House.” The original Nancy’s House, a memorial to a beloved FSH student, played an important role in the lives of FSH children. The play structure has been redesigned and rebuilt, supporting the same kind of magical, imaginative play that the original structure engendered. Recognizing the need for all-weather playing surfaces that support daily physical education classes and free play, a turf field and appropriate under-drainage was installed on the Oakley Road field. The Buck Schmader Field dries quickly and is a wonderful play space in damp weather.